How much of a risk is it to accept a match in the lofty altitude of Mexico City against the winner of eight consecutive fights, Tony Ferguson? For former lightweight champion Rafael Dos Anjos, this challenge presents just the opposite: the perfect opportunity. 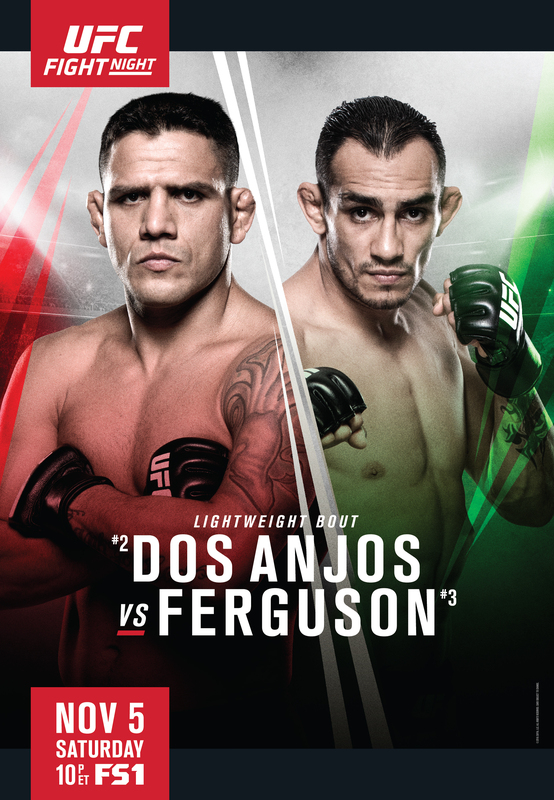 For the Brazilian, UFC’s Fight Night in Mexico City and Tony Ferguson will be his platform toward taking back the belt that Dos Anjos has already carried. Nothing personal against Ferguson. He just happens to be the next step. "I do not choose fights. I wanted my rematch but it did not happen, so I said, ‘What's the other fight that can give me a title shot, and that's Tony Ferguson,’” Dos Anjos says of the No. 3-ranked Ferguson, who comes with a winning streack of eight fights – six by finish – as well as winning six bonuses. But neither that stretch of success, nor the altitude, intimidates RDA. "I’ve been here before, I came with Fabricio Werdum but also was training in Mammoth Lakes, even a higher than here,” Dos Anjos says of Mexico City, which sits at the highest minimum altitude (2,200 meters; 7,200 feet) of any city that’s ever played host to a UFC event. “So I have already been training four weeks at high altitude. Cardio has never been a problem and I'll be ready." The winner, he believes, should get a clear title shot, and he’s not concerned against whom. "I'm 100 percdent focused on (this) fight. But I was supposed to fight Conor McGregor earlier this year, ended up faced Eddie Alvarez and I lost my belt; so I will have whoever wins, and I'll be in New York watching that fight," Dos Anjos says of the UFC 205 main event, which takes place one week after Mexico City. Dos Anjos also agreed to fight in Mexico because he doesn’t feel like a visitor here. "This place and the people have great energy,” he says. “I'm happy to fight here on Saturday. This has been a difficult year for me, but I'm sure it will end in a special way."